Gully Boy cast and rappers featuring in Zoya Akhtar’s direction will be walking the ramp for the ongoing Lakme Fashion Week Summer/Resort 2019. The Gully Boy team will showcase the clothing line titled ‘GullyGen’, which is inspired by the film. LoveGen is a popular fashion brand created by the fashion trinity of Dolly Sidhwani, Bhavana Pandey and Nandita Mahtani. Its new collection will be released on 3 February at Jio Garden Studio. The film has been creating immense chatter among the audience. Ranveer Singh plays the lead in this underdog story set in the slums of Dharavi, while Alia Bhatt portrays his love interest. The limited edition of GullyGen collection includes jackets, hoodies, and t-shirts which are inspired by the film and is an expression of how hip-hop has been one of the biggest influences on street culture. The collection with its light fabrics and prints like cotton single jersey and French terry, featuring the film’s thematic expression with slogans such as ‘Mere Gully Mein’, ‘Straight Outta Gully’ etc, hopes to create a style statement. The GullyGen collection embodies the spirit of pushing limits and breaking boundaries, hence a menswear line to resonate with the youth,” says designer Dolly Sidhwani. 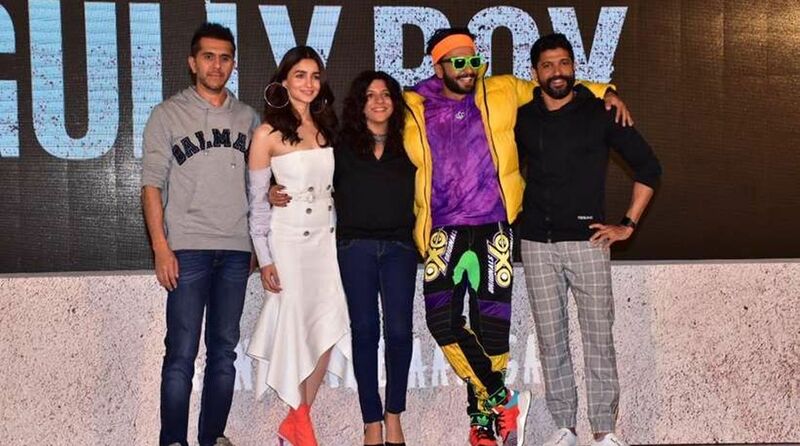 Gully Boy is directed by Zoya Akhtar and produced by Ritesh Sidhwani and Farhan Akhtar under the banner of Excel Entertainment, in association with Tiger Baby. It is slated to release on February 14.